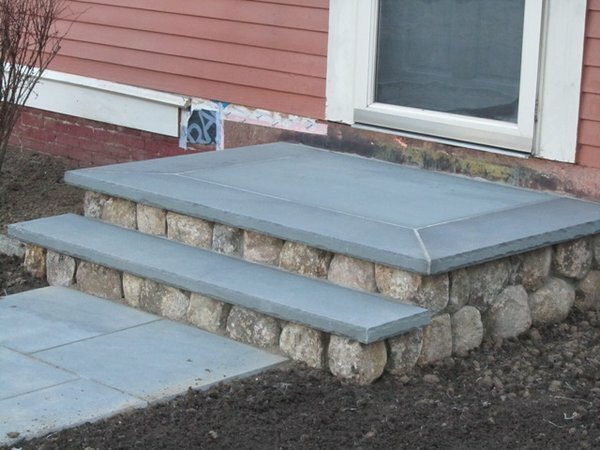 Follow our detailed guide and learn how to install an outdoor stairs snow melting system for pavers. 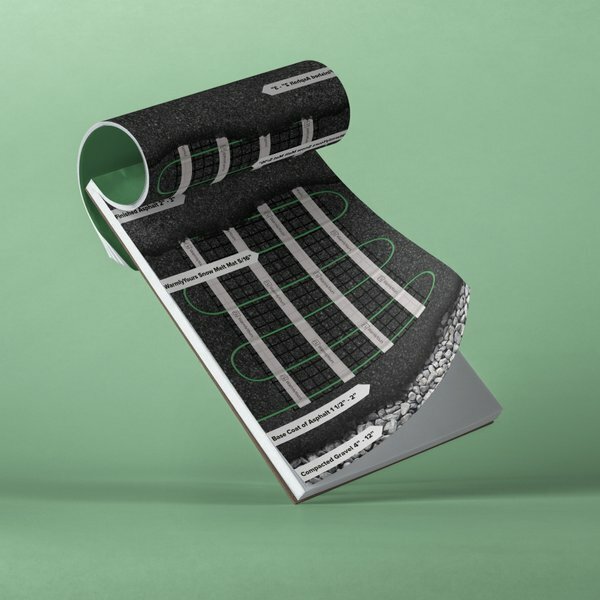 This is the essential idea behind snow melting systems—a heating element is embedded in your walkway or ramp and it melts the snow that falls on it. 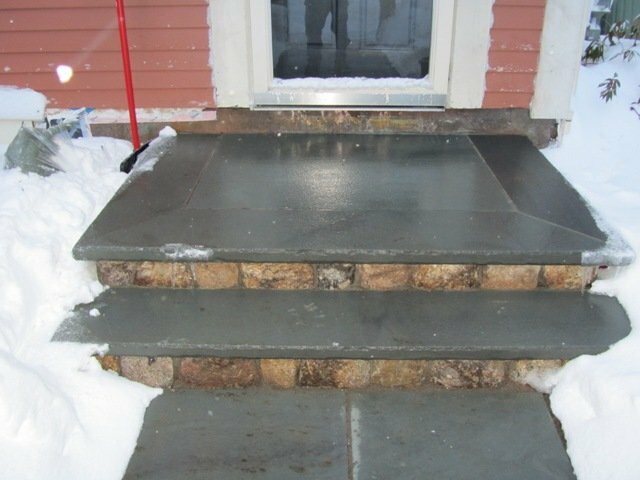 Like any outdoor surface, a set of stairs can benefit from installing a WarmlyYours snow melting system (available in both mats and cables). What’s so Great about Heated Stairs? For most of us, we use stairs so often that we hardly even think about it—until winter hits. When snow falls and ice begins to form, we begin to think about stairs a lot more. We worry about slipping and we stress about keeping them shoveled. That’s why installing a WarmlyYours snow melting system in a new set of stairs can make all the difference. 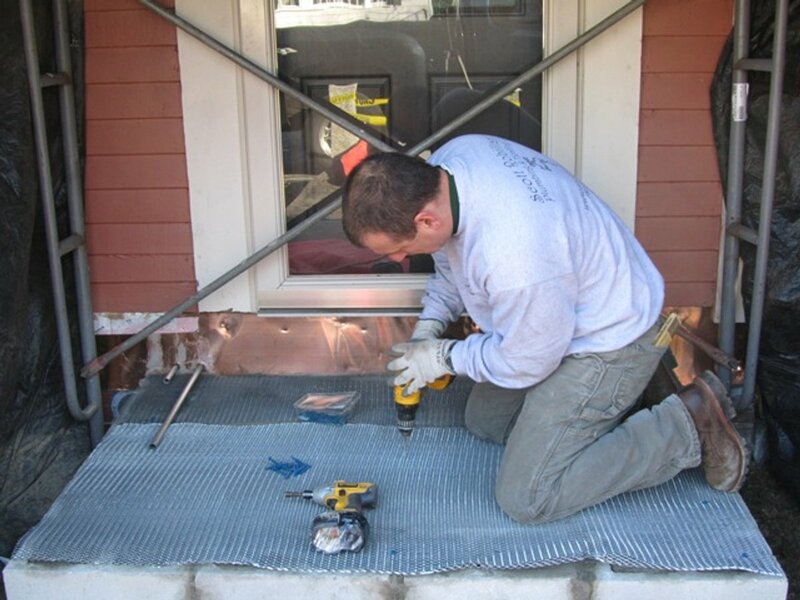 The heating system will melt the snow and ice for you, saving you from danger, stress, and even harmful deicing chemicals. Stair treads should be 11-12” from the front/nosing to the back/riser. This is to ensure you can get 4 passes of properly spaced heating cable in each tread. If your project includes stair-mounted handrails, make sure that you subtract 3” from each side to allow room for the handrail mountings. It’s always a good idea to call in and work with your WarmlyYours account manager to identify the best heating element for your project based on its dimensions. The key to a successful snow melting system is in how it’s embedded. If it’s too deep, it won’t be able to effectively melt snow or ice. If it’s too shallow (or exposed), it could overheat and fail. Make sure your heating element is 2-3” from the final surface. The same is true of the spacing of the heating cable. Too close together and it can overheat. Too far apart (see dimensions A, B, and C in the diagram) and it won’t provide maximum snow melting. Note: For best performance, avoid significant lip overhang from the tread nosing on your stairs (pavers only). See the WarmlyYours Snow Melting Installation Manual for more information. One of the great benefits of an electric radiant heating system is the thinness of the heating element (5/16” for mats and 1/4” for cables). 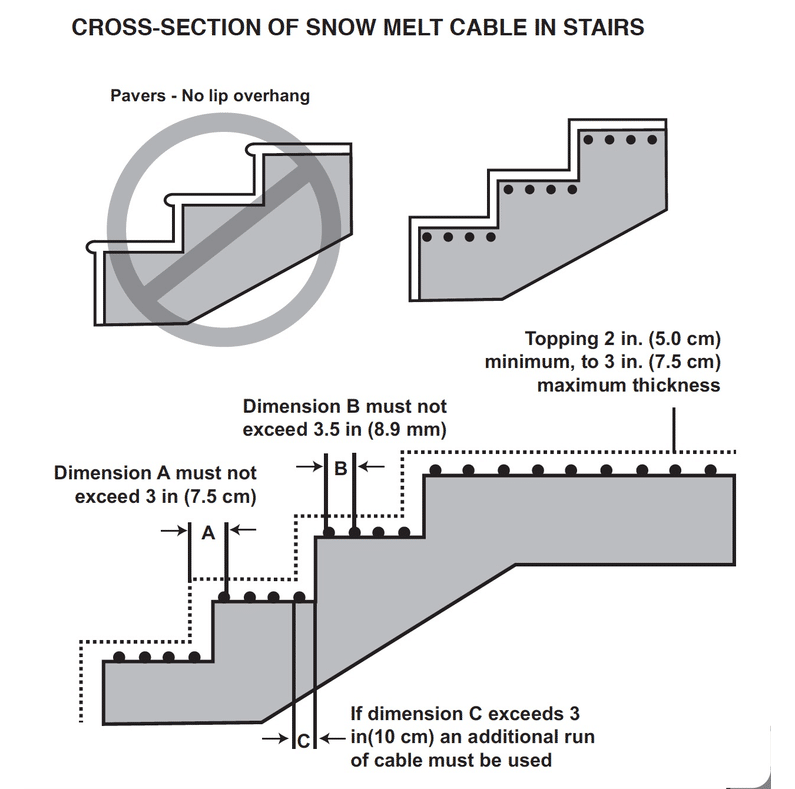 The thinness of an electrical snow melting system means it has a minimal impact on the overall depth of the stairs. These snow melting systems can be used not only with concrete or pavers, but also with asphalt. 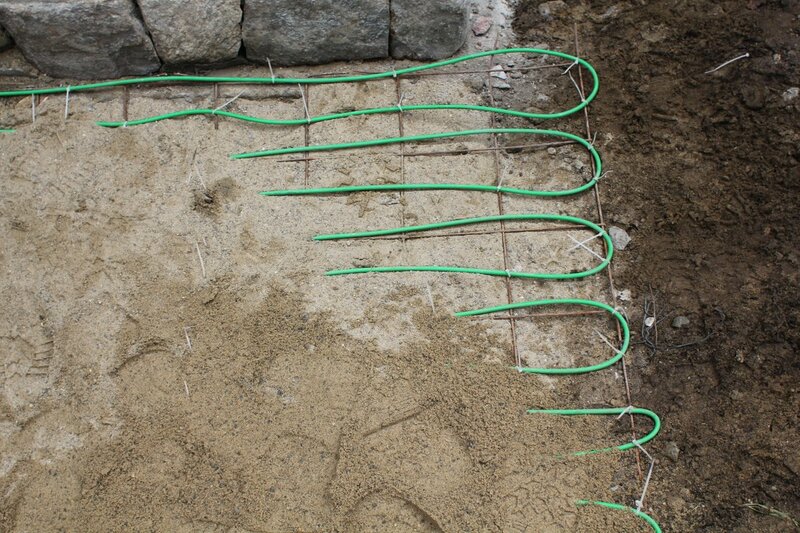 One great option for keeping the spacing of snow melting cables consistent throughout an installation is to attach them with zip-ties or wire twists to a framework like a rebar frame or wire mesh. To make sure that your framework lies flat, it should be attached to a base layer that is 2-3” from the final surface. Make sure to avoid damaging the heating cable when you attach the framework to a base layer. Tip: For your framework, avoid using a metal mesh that has sharp edges or burrs. 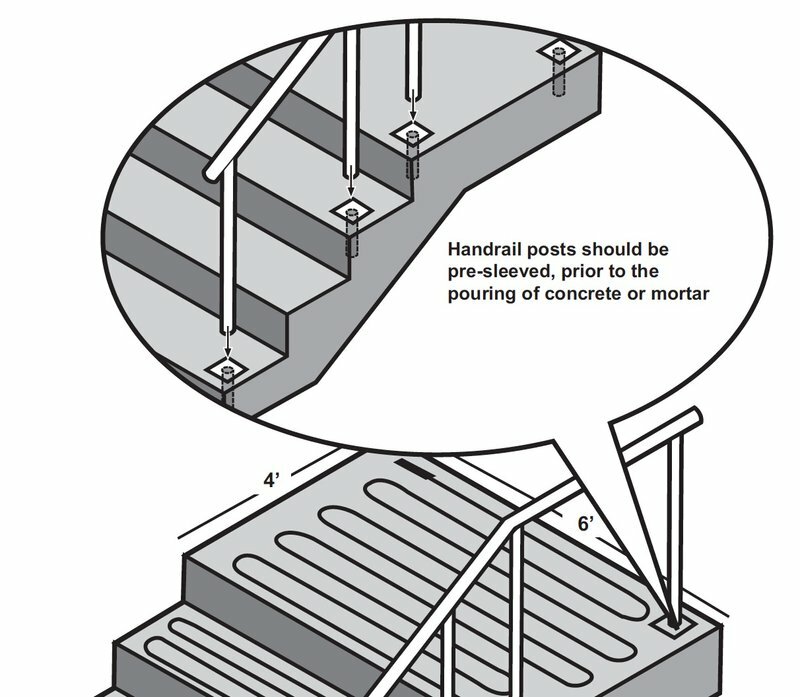 For installations in stairs and ramps that will include handrails, it is strongly recommended that the installer put in pre-sleeves for the posts to avoid as much drilling of the surface as possible. As previously mentioned, maintaining the proper spacing of the heating elements is the key to a successful snow melting system. 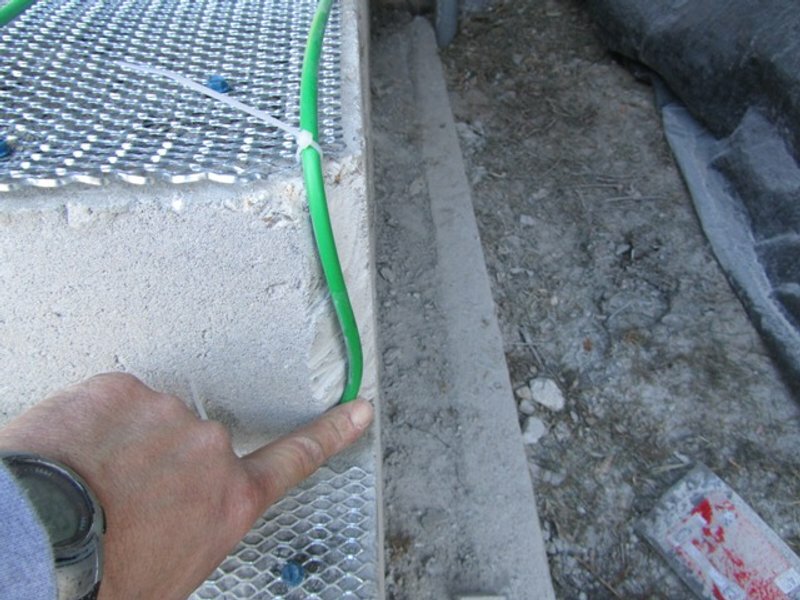 The heating elements should be attached to the mesh using wire ties to maintain proper depth and spacing. This is also a good time to dry fit your system to make sure everything lines up properly. 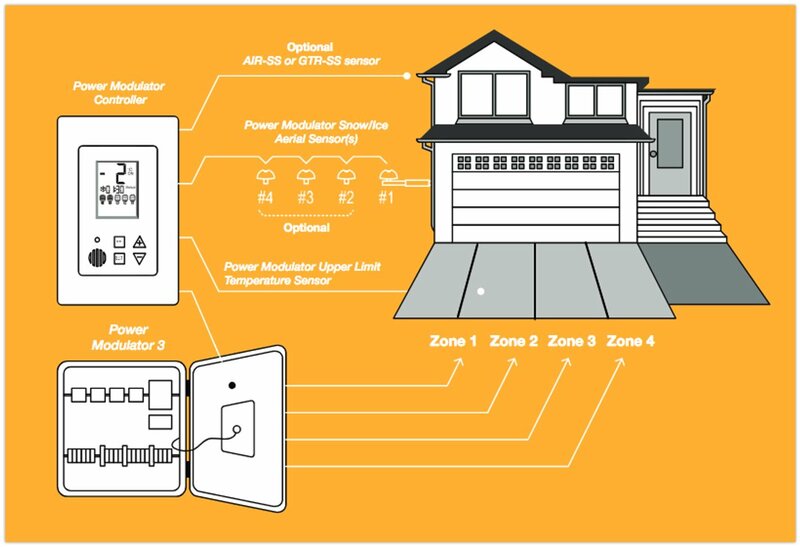 Reference your custom WarmlyYours SmartPlan installation plan, provided free with every quotation, so that this process goes smoothly. 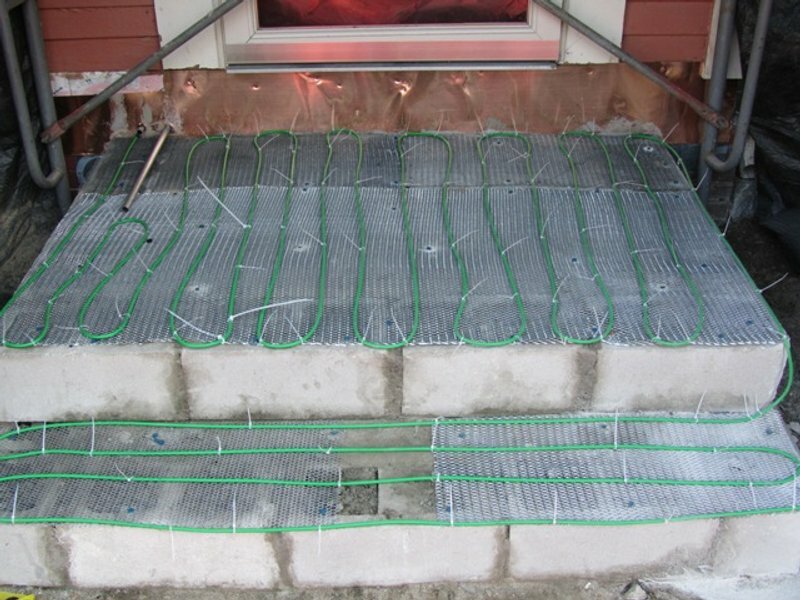 Since your project will most likely involve several heated stairs, you’ll need to incorporate the heating cable into the risers between each tread. There are a few different ways to do this. The example pictured incorporated stone veneer corner pieces. This installer simply cut off the corner of the support block to create a channel for the heating cable. Another option is to saw-cut a groove in the concrete with a concrete saw or diamond-bladed angle grinder. 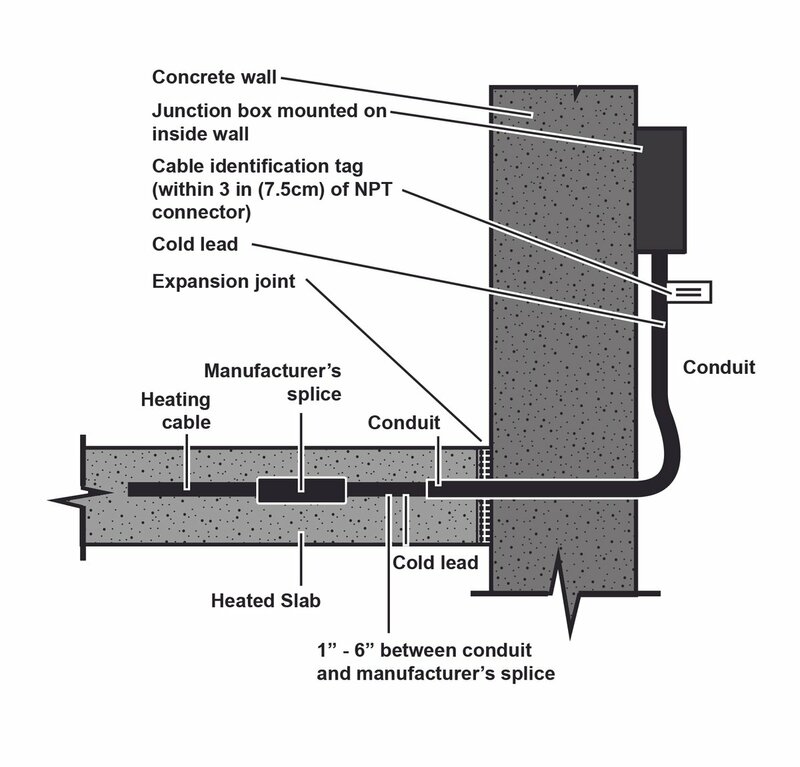 The most important thing is that the heating cable is embedded in concrete or mortar. Otherwise, it could overheat and fail. Brick and stone pavers must NOT be any thicker than 2.5” (63.5mm). Once the stairs are completed, they are ready to be used. Just add snow! 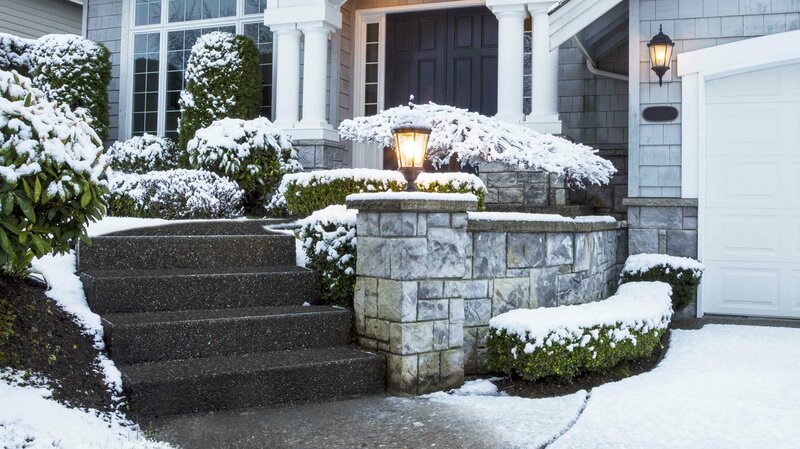 WarmlyYours offers a wide variety of controls for our snow melting systems—from a manual option with a timer that will only activate when you turn it on/off, to an automatic option that will turn on when it senses snow is falling. The control used in this project was the Advanced Snow Melt Control, a costeffective control for use with concrete or paver projects. Its features include an aerial sensor for reliable snow detection, manual override, and after-run time for evaporating the water left by snowmelt. For more information about the variety of snow melt controls available from WarmlyYours, check out this comparison chart. 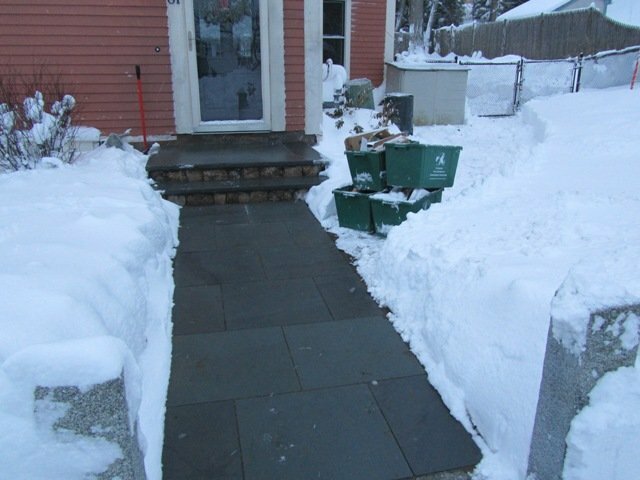 As you can see, this snow melting system will keep your stairs usable, even in the dead of winter. In this picture, you may notice that the melted area is fairly wet with melted snow. For more information about the snow melting systems available from WarmlyYours visit our snow melting section or call (800) 875-5285.